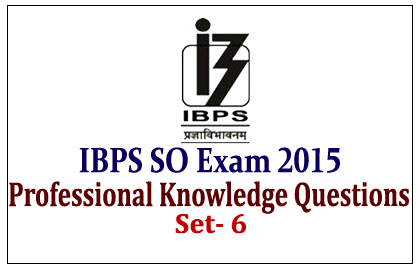 List of Model Professional Knowledge Questions for the upcoming IBPS Specialist Officer Exam 2015 were given below. Candidates those who are preparing for those exams can use these questions to score more marks. 1).The sink arrive from X.25 packet in the same order to send for? 2).The counter ofn stage ripple can count up to? 3).Multimedia is linked through which URL? 6).The activity of first prototype model is? 7).Which system has the highest data transmission rate to an individual device? 10).______________ is called as Black Box testing.